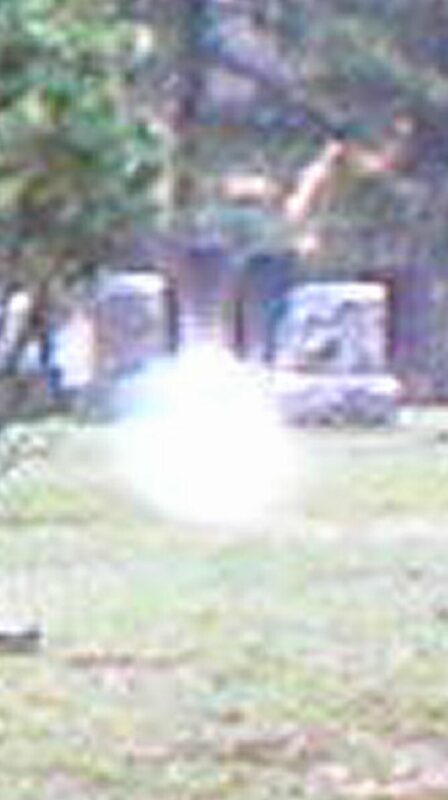 Based on this recording and a picture I took a couple of months after she captured it , we believe there may be a portal of some sort opening regularly at Hills. The picture shows what appears to be a swirling funnel and seems to correspond with the audio in the EVP. The EVP contains the sound of swirling wind but there was no wind that day, in fact it was a warm sunny afternoon when Karen made the recording. You can hear the entire one and a half minute EVP along with excerpts we've isolated below. This is the most incredible EVP we've ever heard. We think it could possibly be the longest continuous EVP ever recorded. It contains an amazing number of voices, many speaking off pitch and off speed as well as numerous pops and clicks (see precursor sounds below) that sound as if someone were pushing the buttons on the recorder and it ends with what sounds like an electrical discharge that suggests the transmission ended abruptly. Karen was alone at the time and recorded this using an old cassette recorder with an external microphone attached. She started the recorder and went to the other end of the cemetery. She recorded for a total of 20 minutes and the EVP began shortly after she turned on the recorder. It ended a minute and a half later and the rest of the recording is silent. You can view my picture in the "Our Photos" gallery or click here to view it now. 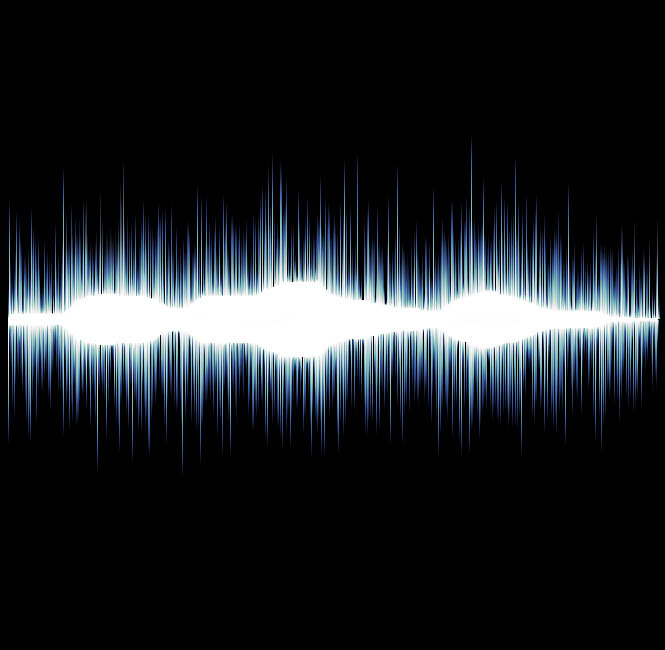 Many of our members have talked and written to us about a noise that is often heard right before an EVP message. It appears before some of our own EVP. It is a loud, or not so loud, click, pop, boom or crackling sound. Some have described it as similar to the sound of someone keying a microphone. "How CanYou Drink That - It's Hot -Yes - One Down"
"It's The Ultimate Asking Fee - Naughty - Nice"
"You F-cking Witch, She's Dirty"
Copyright 2011. Karen Mossey/Mike Sullivan. All rights reserved.